Jetpacks. They were promised. They're on the way. They've been delayed. Where the heck are the jetpacks, Epic Games?! 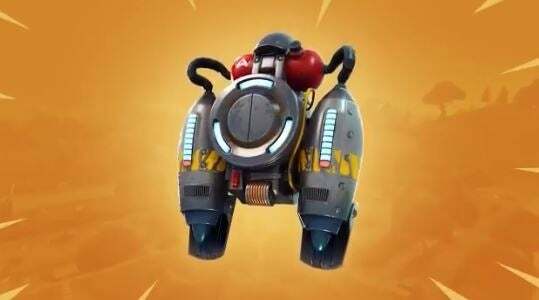 OK, so we may be a little too enthusiastic at the gimmicky fun jetpacks will offer the world of Fortnite, but can you really blame us? I mean, really? Luckily, it looks like it won't be long now because the official Fortnite twitter comes bearing a brand new developer update video that clues us in as to what is going on with the new addition, more on the five teams of 20 PvP game mode, and more about the upcoming update ... and llamas. First, let's go ahead and get that jetpack talk out of the way. Systems Designer Eric Williamson ripped the bandaid right off when he addressed the delay head on. The postponed enjoyment was actually for a very good reason. The team over at Epic Games have been extensively playtesting the new item and found that it wasn't quite ready for full-on gameplay. That kind of move is definitely appreciated, I would rather get something like that later and have it perfected than rushed and game breaking. Don't worry though, Williamson assures fans that they are still coming, and soon! The teams of 20 have also gone live and it's a very limited time only game mode. The gist of it is that there will be five players of twenty all dropped down into the world of Battle Royale in a fight to the death for that sweet, sweet victory. Among the chaos, the blue circle of death and in-game storms are also offset at a much faster pace, making the game mode even more challenging than the already intense Battle Royale mode. Don't worry though, supply crates and ammo drops have also been increased, so it works out. It's a healthy balance between squads and the 50 vs 50 mode they had live earlier this year, and so far it seems to be getting a pretty positive reception. The 3.3 update coming up next month will include ... llamas. These animals are randomly scattered throughout the map but they are more than just a pretty face. The llamas will actually help players in uncovering much needed game during a match. You can check out what other plans they have in store in the video above, happy gaming!